He’s a box kitty. 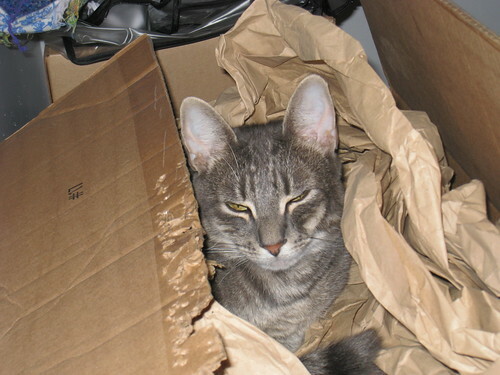 As you can see, he also dabbles in feline art, specializing in post-modern cardboard deconstruction. Wow! Frankie does the exact same kitty art to any box he can claim. Maybe they are brothers? Actually, could be a breed specific thingy, part of their wild nature? LOL I love watching that video. Doozer looks pretty happy in that box.